From Izmir: There are currently (2010) two bus companies that enter the Bergama Bus Station: Metro and Anadolu. These buses are frequent. From Istanbul: Only two bus companies enter the Bergama Bus Station: Metro and Anadolu. It is an all-day trip (or all-night). From Canakkale: There is ONLY ONE bus company from Canakkale that enters the Bergama Bus Station: Soma Seyahat. Another daytime option is taking any bus from Canakkale to the Ayvalik rest area, where there is a free shuttle to the Ayvalik bus station; from there you can catch a minibus to the Bergama bus station. From the Bergama Bus Station to Odyssey Guest House: Odyssey is located in Old Town Bergama, near the Acropolis and the Red Basilica. There is a free city shuttle (8 am to 5 pm) from the bus station to Soma Garage, which is two blocks from Odyssey Guest House. Also, your bus company may have a free shuttle to Soma Garage. Evenings, you may need to take a taxi. 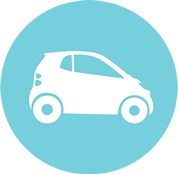 There are many car rental companies in Turkey. Driving to Bergama is fairly, straightforward if you follow your road map. After the Bergama turn-off, you will travel about 7 km up to Bergama, pass through the city center, and one kilometer northeast is Old Town. 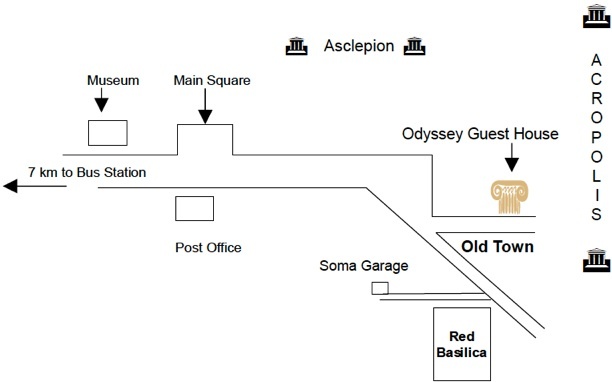 Odyssey is located in Old Town, at the foot of the Acropolis. From Istanbul: Catch the early morning Bandirma ferry from Yeni Kapi, which is about 2 km from the Sultan Ahmet area in Istanbul. 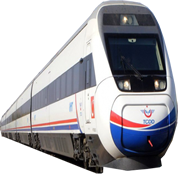 Catch the train in Bandirma (train station is very near the port) to Soma. Take a taxi from the Soma Train Station to the Soma Bus Station (a very short ride). 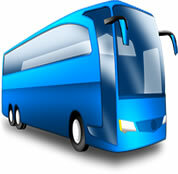 From there, take a minibus to the Soma Garage in Bergama, which is two blocks from Odyssey Guest House. Tourists have reported that you can buy this combination ferry/train ticket in Istanbul. During summer months, the ferries fill up early; make your reservation at least one day before. To find Odyssey Guest House, turn left from the main highway (Canakkale-Izmir Highway), if you are travelling south, and turn right from the main highway if you are travelling north. After turning, you will see on your left Bergama's main bus station. Continue on this road for about 7 km. It becomes AtaTurk Bulvar. At the first signal continue going straight (there is a road that veers to the right; do not go this way). At the next signal also, continue going straight rather than veering to the right. You will pass through the downtown section of Bergama. On the left, you will pass the museum and a large public square. Further on, the road curves slightly to the right and then straightens. On the right you will see a market called Ozaydemir. Again the road curves to the right; after one block, you will see on your left Abacihan Sokak and a large Odyssey Guest House sign. Go up this street. Nearly at the end of the block, Odyssey Guest House will be on your left.